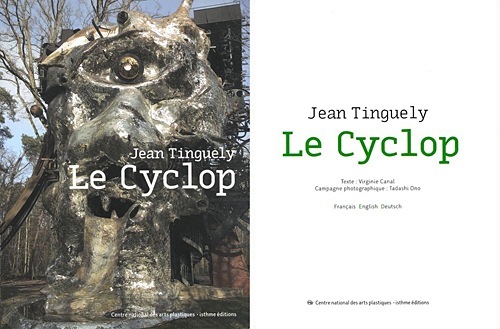 In the heart of Milly Forest, a few miles outside Paris, Jean Tinguely, together with his wife Niki de Saint Phalle and several of their artist friends, created a monumental work called Le Cyclop. Started in 1969, and completed in 1994, three years after the sculptor's death, the work is now the property of the French government, which has been responsible for its protection and preservation since 1987. In this book, Virginie Canal describes the various stages in the construction of this steel monster, more than 80 feet in height. Her book is at once an account of a one-off group adventure and a visitor's guide to a place that has no equivalent, where all the arts intermingle. It is illustrated with the pictures of the photographer Tadashi Ono, thereby reproducing the magic of this enchanted work, a grandiose résumé of what Niki de Saint Phalle called "Jean's dream".